Not sure how to put it, but I can´t share the excitement, all the other readers have. In fact, this book was a disappointment for me. Or my expectations were way too high. Oh yes, the psychological finesse was there, but the figures? The plot? The author can do way better than what she presented here. It took me weeks to get this book into my hands. And I was so eager to find out what all the critics were so delighted about. But soon, after I´ve started reading, I became more and more annoyed. And knew within no time, that I wouldn´t get warm with the main character. Andy is playing her mothers game, answering her questions though she doesn´t want to do it. When all the sudden bullets are flying around, and she becomes the shocked witness of a person who seems to kill a young man in cold blood. Who is this woman with the knife in her hand? And why does she want Andy all the sudden out of her life? Andy is desperate and starts to search for answers when she discovers that her mother has a secret that not only threatens her own life but that of her mother as well. Now, where do I begin? That I didn´t like the main figure, Andy, at all? That I couldn´t get access to the other figures? That for the first time I was not happy with a book by the author which usually is a safe bank for me when it comes to thrillers? Oh yes, the psychological finesse, as said before, was there and somehow enjoyable. But I simply couldn’t get warm with the rest. Nonetheless, it shows, that Karin Slaughter knows how to create figures who are able to get the readers´ attention. No matter how much I dislike them or not. And while reading the last few pages of this book, I started to see how Andy had become the Andy she was over almost the entire thriller. With a mother like hers, no chance to become a different person. Andy is, at least for my taste, way too passive. Her way of not saying a word at all when it would have been better to speak drove me nuts. To see her all the time in some sort of shock, unable to act, unable to speak but always able to think the right questions – who in the world does that? Is her mother so dominant, that her daughter can´t open her mouth and say a single word? And why has Andy all the time the need to go to bed and sleep? The moment she stepped into her room to get her things, and the author describes the scene, I was disgusted. She is messy! I literally saw the chaos, the uneaten pizza, the dirt, the smelling laundry, and god knows what she had in that room too. Yap, you might argue now, that the author has done an excellent job by describing those scenes, by showing the reader what kind of person her protagonist is. And no, I am not impressed. I am annoyed. 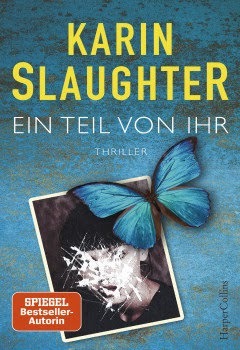 All in all, I have to say, that I wasn´t as happy with this thriller, as I´ve been with the author´s other books. Pieces of Her just couldn´t live up to my expectations. 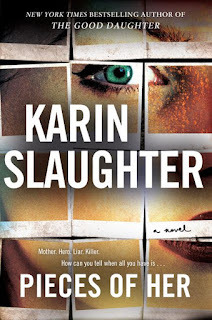 Maybe there were too high after reading all the critics, or I am just used to the fact, that Karin Slaughter normally is a guarantor for high thriller quality. Not here. Sad, but true. 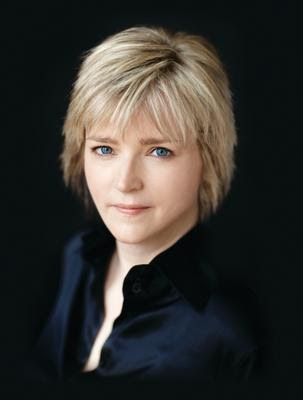 Karin Slaughter, born 1971, is from Atlanta, Georgia. In 2003 her debut novel Blindsighted was published and went straight to the top of the international bestselling list and catapulted her onto the Thriller-Olympus. She is the #1 internationally bestselling author of more than a dozen novels, including the Will Trent and Grant County series and the instant New York Times bestselling standalones, Cop Town and Pretty Girls. There are more than 35 million copies of her books in print around the world. 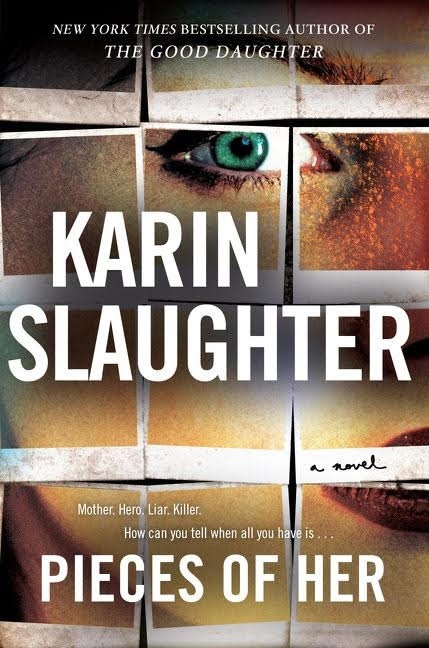 The author's last name is Slaughter. I wonder if it influenced her with her book at all. The book sounds really interesting to me. Sad that you didn't enjoy it much. Usually her last name doesn´t influence her books. 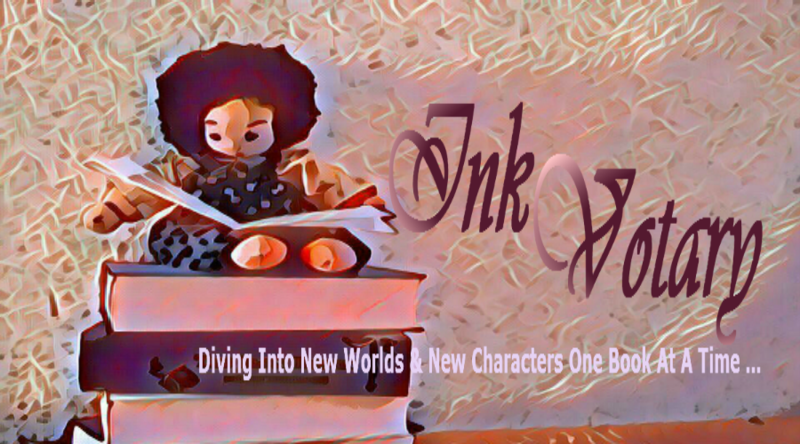 Hopefully, her next book will thrill me again *smile* Thanks for stopping by. I have to admit the mother/daughter aspect intrigued me, but the previous book I've read of hers wasn't as good as I hoped, so I think I"ll keep steering clear of her. I loved The Good Daughter. But thankfully we all have different likes when it comes to authors and their work *smile* Otherwise it would be boring, right? Thanks for stopping by.